This is a superior, tourist class, landmark hotel located north of downtown in the popular Lincoln Park residential area at North Clark and Lincoln Streets, directly across the street from Lincoln Park Zoo. 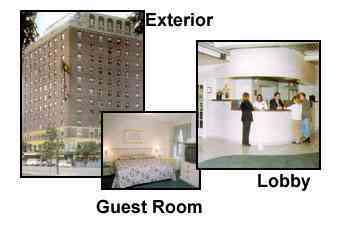 Guest rooms include air conditioning, color TV, radio, telephone with voice mail, key card locks. Hotel amenities include complimentary continental breakfast, convenience store and parking nearby ($).